LiberTV - Is Political Islam a Threat to Democracy? Moderator: Prof Woo Wing ThyeThe term “Political Islam” (Islamism) has become a highly contested term because it has been used to connote different, and sometimes contradictory, phenomena in the Muslim world. Political Islam really means the discourse on the instrumental use of Islam in politics, articulated in modern concepts and vocabularies.In Malaysia, Political Islam started assuming prominence in Malaysian politics in the 1970s. Some politicians and spiritual leaders are now advocating the adoption of Shari’a, hudud and “Islamic State.” The situation gets alarming if the authorities were to now promote even more seriously policies and laws that threaten the foundation and the values that are inherent within Democracy. 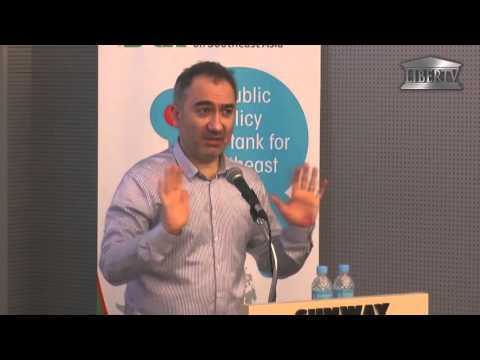 Mustafa Akyol (author of the bestselling Islam without Extremes) will speak on the important questions about Political Islam, which include: Is Political Islam undemocratic? Is there any way to connect Islam and politics within the spirit of democracy?